In the sunny, temperate west coast, near the beautiful apartments in San Pedro CA, folks know that the water holds a special significance. There’s a connection to the sea that’s hard to describe, and this February, there will be a chance to combine that love of being out on the open water with true love, as The Los Angeles Maritime Institute puts on their 2018 Sweetheart Sail. If this sounds like a good time to you, then you’re in great company. Keep reading to learn about the LAMI, what the Sweetheart Sail will entail, and what you’ll need to do to enjoy this thrilling chance for a dinner at sea. You can learn more about LAMI and their goals through this short feature from the Port Of Los Angeles, which overviews their mission, shows off their workshop, and delves a little deeper into what the Los Angeles Maritime Institute is all about. Steadfastly dedicated to their mission, LAMI has received numerous accolades, including a Great Nonprofit’s Top Rated award, and a GuideStar Exchange Silver Participant approval. You can read the stories of those who have been touched by the program, and learn more about how LAMI has been enriching the community on both sites. The praise is near-universal, with individuals noting how the organization helps to empower and teach those of all ages to succeed. 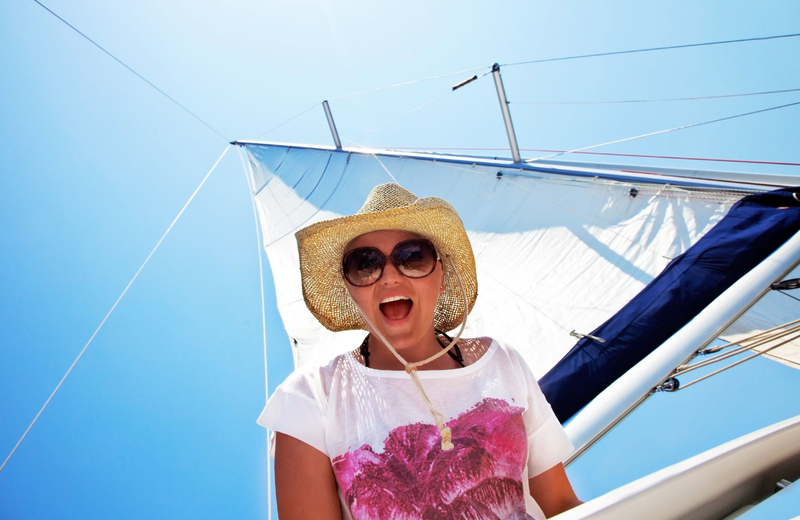 The Sweetheart Sail is just that -- a jaunt into the water with the person you love. Imagine, they ask you, a “magical evening aboard LA’s official Tall Ships as you sail the Los Angeles harbor with your special someone.” Sounds enchanting, which is while you’ll need to make sure you snag your tickets to reserve a spot on board. Take the walkway that runs along Candy Town at Ports O’ Call Village. Wait outside our dock gate. You’ll also be treated with a commemorative gift to remember your voyage. If you’d like to know more, be sure to check out the promotional flyer and the event’s Facebook page, where you can pose questions and become better informed directly from the event organizers. Remember, all proceeds from this event will be going right to the TopSail Youth Program, so you’ll be enjoying a fancy dinner and helping out the kids all in one fell swoop. That’s the best place to be if you want to be down by the water, in amazing buildings like The Vue. True to its namesake, you’ll be able to see what this part of the city has to offer with clarity, and do it all while relaxing in elegant residences with the finest amenities. This is your place for a new type of living on the water in sunny San Pedro.